For almost a hundred years Jester Hairston entertained and taught us with his classic spiritual editions. 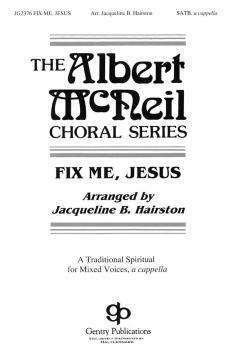 Now his niece, Jacqueline Hairston, is following suit with this fine arrangement of “Fix Me, Jesus,” selected by Albert McNeil for his series. 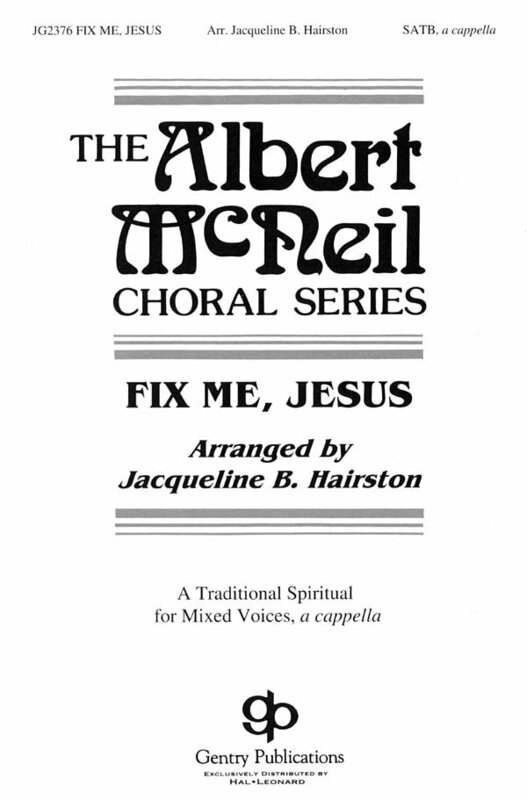 Great a cappella writing with juicy harmonic flavors will make this a favorite for festivals, churches and schools.